The Hiro V-1 are Classic JDM Wheels made for the Japanese tuning firm Hiro Engineering manufactured by Speedstar Racing aka SSR Wheels. 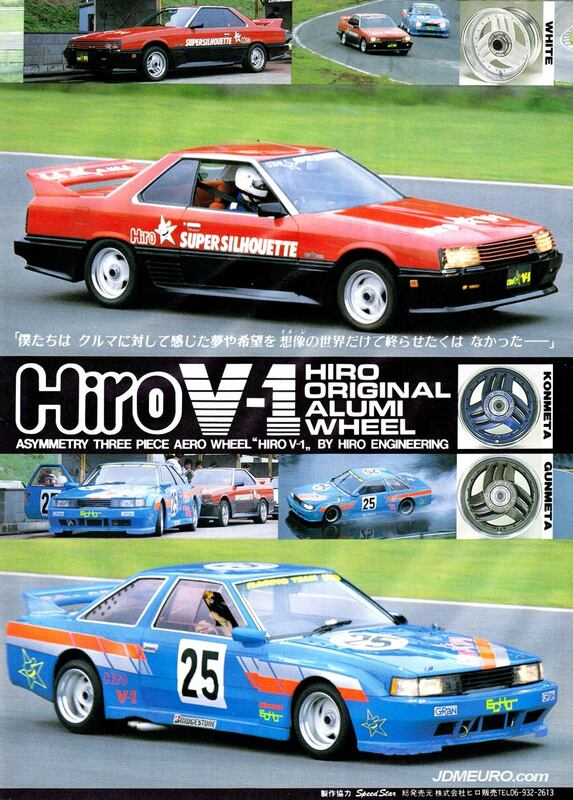 SSR Hiro V-1 styling was inspired by the Super Silhoutte Racers of the day. Originally available in Chrome, White and Gun Metal as shown, there is also a colorway of Gold with white accents. The Hiro V-1 also features the SSR Electron Magnetic locking system.